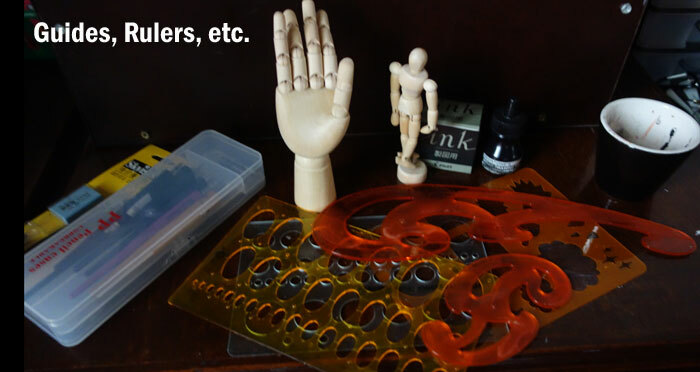 One of the most common questions that people ask me is: Where do you get your supplies? and What do I need to get started in creating Manga/Anime Art? Then, when I answer about my materials, they follow up with OMG! That’s too expensive! I will never be a mangaka at this rate. Then, I have to go through the whole litany of telling them that it’s not about materials (though having good materials help), and it’s all about the artist who uses the materials that makes the art. But, of course, it takes a lot of convincing – because a lot of people simply do not know what they really need when they go material shopping for Manga Supplies. So, to clear all that up let me take you through the basic manga supplies that you might need to start your adventures at mangakas. Basically, these are your basic tools of the trade. Pencils – when it comes to pencils. ANYTHING will do. A good sharp pencil will do the trick. Some prefer mechanical pencils and personally, I prefer a Non-photo blue pencil to do my art. As long as you are comfortable with your pencil, it’s okay. Paper/Cardstock- For an initial sketch, you may want to do it in sketchpad or ordinary white paper. I usually do mine in A4 sized paper or B5 because that is manga industry standard. (also we have a ton of A4 at work). A good smooth paper around 170 GSM and up is recommended if you are going to ink and color your work. Also, if you are coloring with Markers/ watercolor you might want to even go higher on the GSM — I use around 200 GSM cardstock (or higher) for smoother coloring. The smoother the paper the better (but let’s not go glossy). I personally use Vellum Boards from National Bookstore, some artists prefer Bristol boards but its up to you. Vellum is cheaper and readily available. Of course you can also use cartolina cut up.. or illustration boards. Eraser/Sharpener- Do not underestimate the powers of a good sharpener and eraser. They aid you in creating art and keeping your art clean! I want to say that with these two you can start your manga. A lot of my friends practice with only pen and paper and from there, they move on to inking and coloring. I also adore some monochrome art and you can learn toning with pencils. So, don’t ignore your pencils! 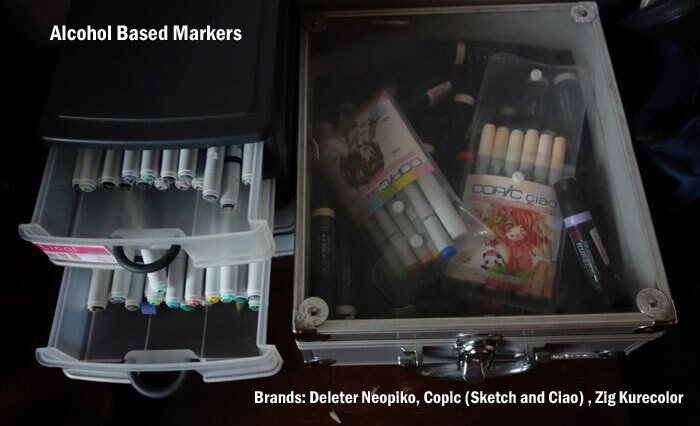 Inking Materials – once you have mastered with the pencils, you might want to move on with inking materials. Personally I have a ton of these so here are my notes. If you don’t intend to ever color your work with Alcohol based markers, go for the cheaper, the better. There are a lot of gelpens available for cheap you can use those for inking. China Ink costs cheap, use them with a brush or a nib for good inking. I use Redstone’s Indian Ink or Drawing ink Sometimes with a china brush (the thinnest one) and or Nibs. Unipins are also cool to use. They dry instantly, and don’t smear under alcohol based ink. They are also fairly cheap. Obviously you need these to help guide you through your lines, I have a compass even, protractors and other rules, to help me create backgrounds, do perspective and keep my lineart looking neat and clean. Correction Fluid/ White Acrylic paint – to erase lines that you don’t need and it’s amazing for highlights. If you can find a white Gelpen, paint pen or an Artline white multiliner, that is amazing to have as well. 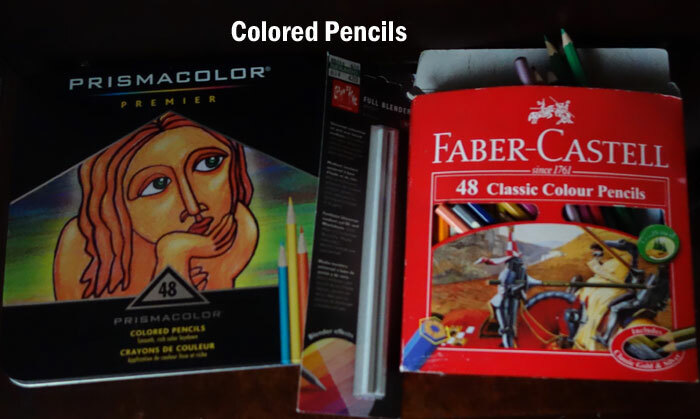 Coloring Materials- I will also discuss this in a future blog, but I would suggest getting what you feel you are good at. I love colored pencils and they are my best medium as well as graphic markers. You don’t have to spend a lot on them. Just as long as you can color with them. A friend of mine uses ordinary crayons to make amazing art. So, as long as you are happy with your materials, it will be alright. FINALLY, you need your patience and creativity. Because Manga making takes a lot of time, perseverance and creativity.Most of all, and this is most important: HAVE A BLAST while making your manga!